Yogyakarta, together with its twin city Surakarta (Solo), is the cradle of civilization on Java. 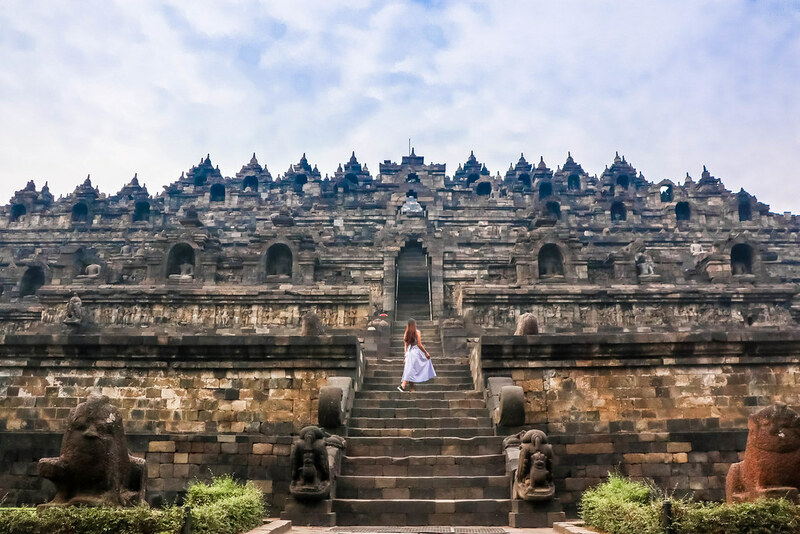 This city was the seat of power that produced the magnificent temples of Borobudur and Prambanan in the 8th and 9th century and the new powerful Mataram kingdom of the 16th and 17th century. This city is one of the foremost cultural centres of Indonesia. 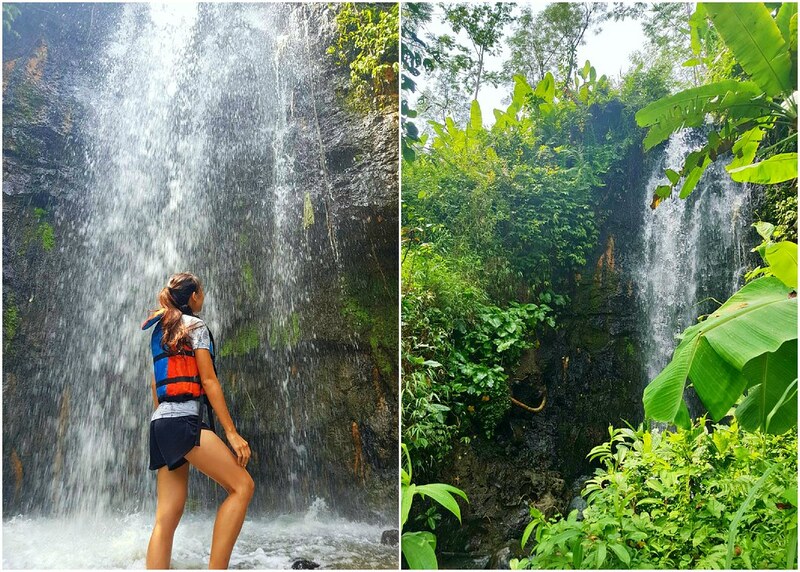 Adventure seekers will be delighted to explore Mount Merapi, ride the thrilling jeep, rappel into a cave and experience cave tubing. 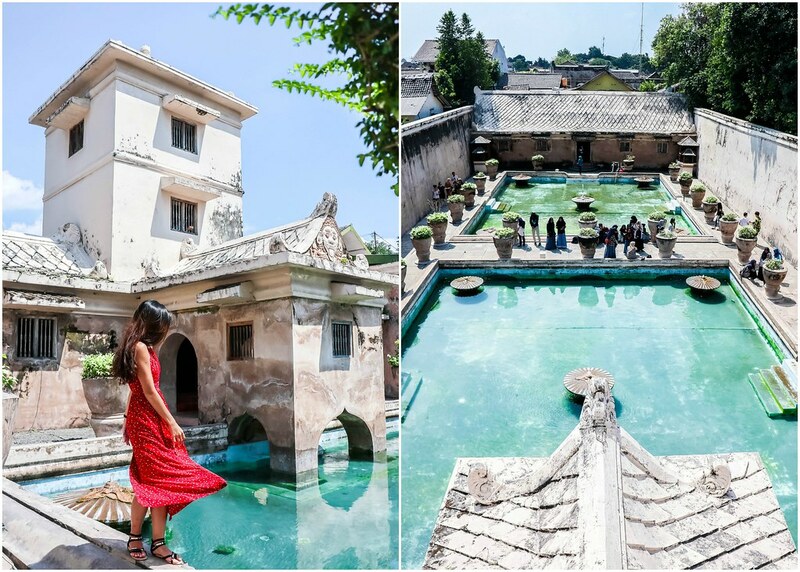 There is an array of attractions and activities to keep you occupied in Yogyakarta, and the following is my 4 days 3 nights’ itinerary for a fun-filled holiday in the city. 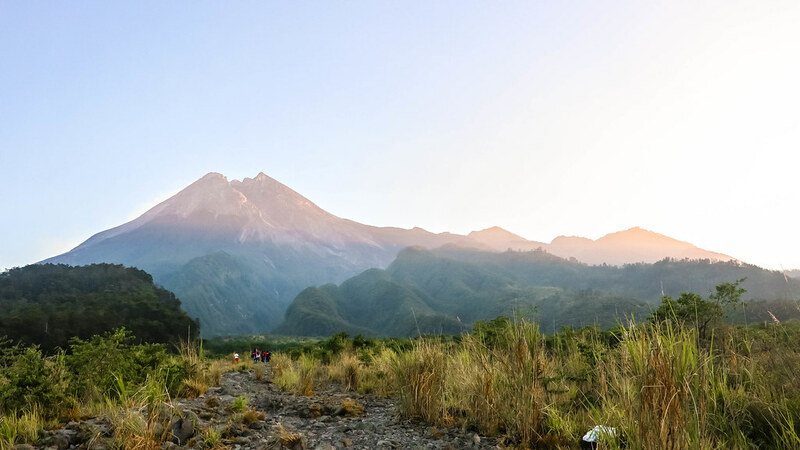 At the height of 2,930-metres, Mount Merapi is an active volcano in Yogyakarta. Eruption began as early as in the 1500s, but even so, thousands of people live on the flanks of the dangerous volcano. The Mount Merapi Sunrise Jeep Tour was an insightful journey for my girlfriends and I. We caught the sunrise from Kaliadem, with Mount Merapi in full view. There is a Kaliadem bunker where volunteers and villagers were trapped and died in during the 2010 eruption. Our jeep driver drove through villages and forest that were damaged by the 2010 eruption, and showed us the river – once filled with water and marine life, lost to sand, cold lava and other items burned by fire now. We stopped by an alien stone (a rock formation resembling a human face) and visited the Sisa Hartaku Mini Museum. 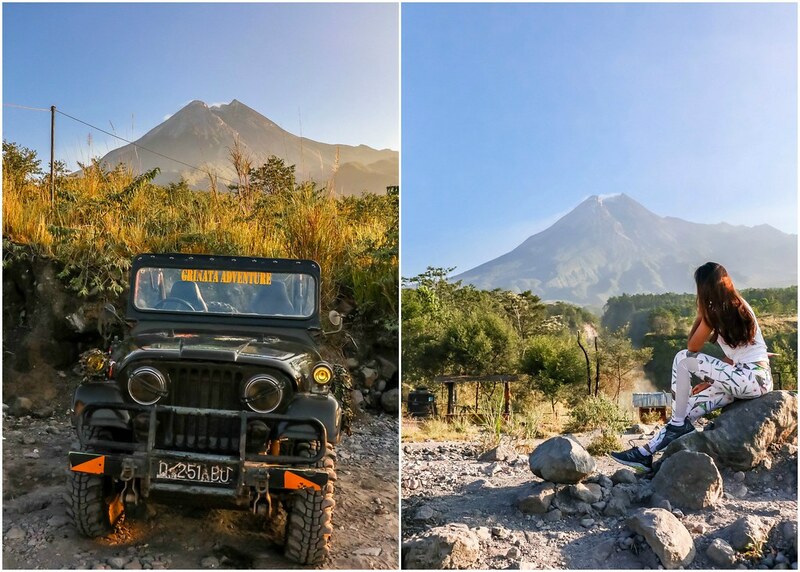 The total cost of visiting Mount Merapi and its attractions for around 2 hours is 450,000 IDR ($40.80 SGD) per jeep. You can read the full review here. 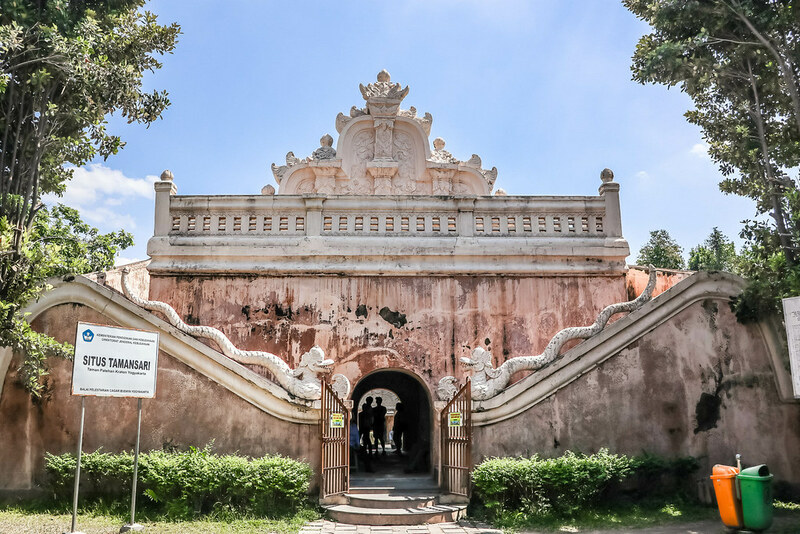 Our next destination was the Tamansari Water Castle, also known as the garden for the Sultan of Yogyakarta. Tamansari was originally built for multiple purposes yet now only several buildings remain. Some of its original functions were a place to rest, to meditate, to work, to hide and to defend the Sultan’s family. In this present day, some of its buildings have become homes for local residents and only the mosque, resting and bathing space, and underground tunnels are accessible by tourists. The entrance fee per person is 15,000 IDR ($1.40 SGD) and you will have to pay additional 3,000 IDR ($0.30 SGD) for photography. After exploring the water castle, we visited Prambanan Temple. 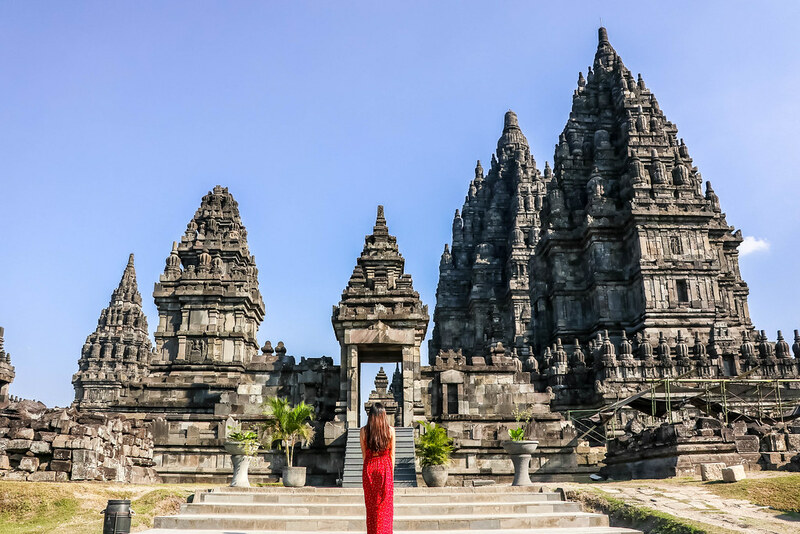 A UNESCO World Heritage Site, the compound consists 240 individual stone temples, but many of them have unfortunately been scattered in ruins due to earthquake, volcanic eruption and a shift of political power in the early 11th century, and they were rediscovered in the 17th century. They have never been displaced or changed. 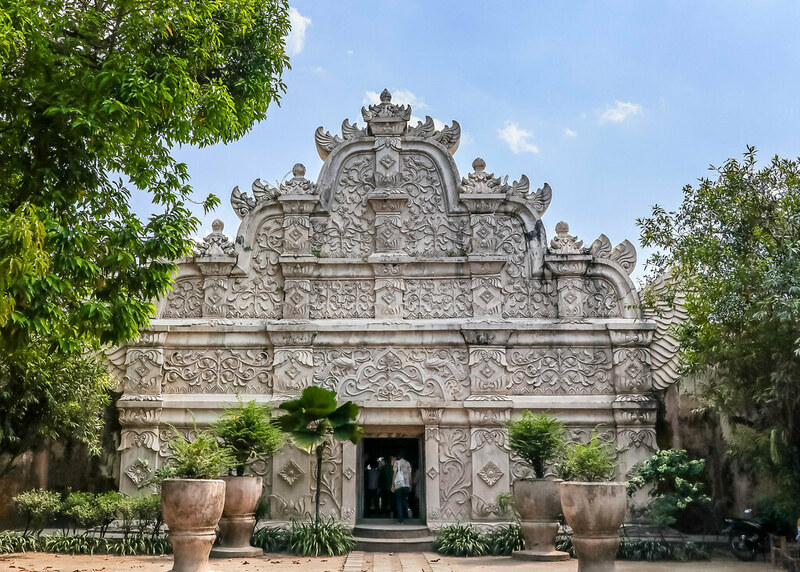 Restoration works have been conducted since 1918, both in original traditional method of interlocking stone and modern methods using concrete to strengthen the temple structure. 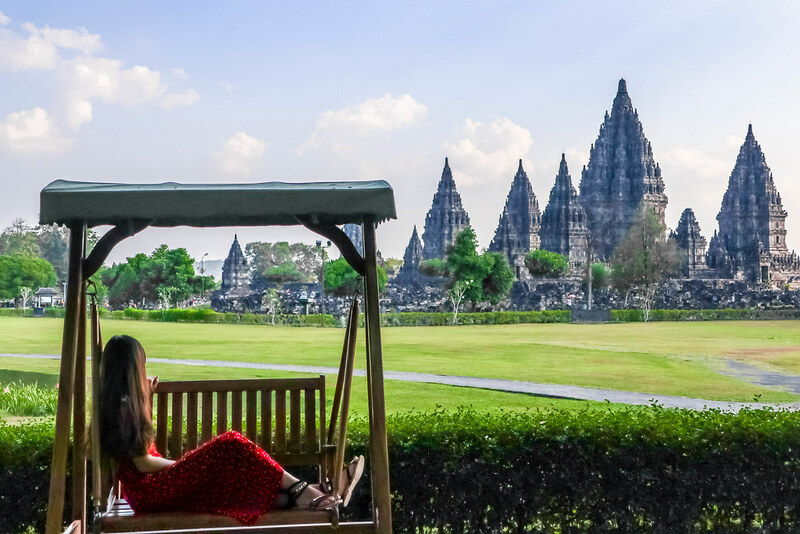 The area surrounding Prambanan is developed, with a landscaped park and stores selling souvenirs. The entrance fee costs 350,000 IDR ($31.90 SGD) per person. We ended the day watching the sunset at the Ratu Boko Palace. 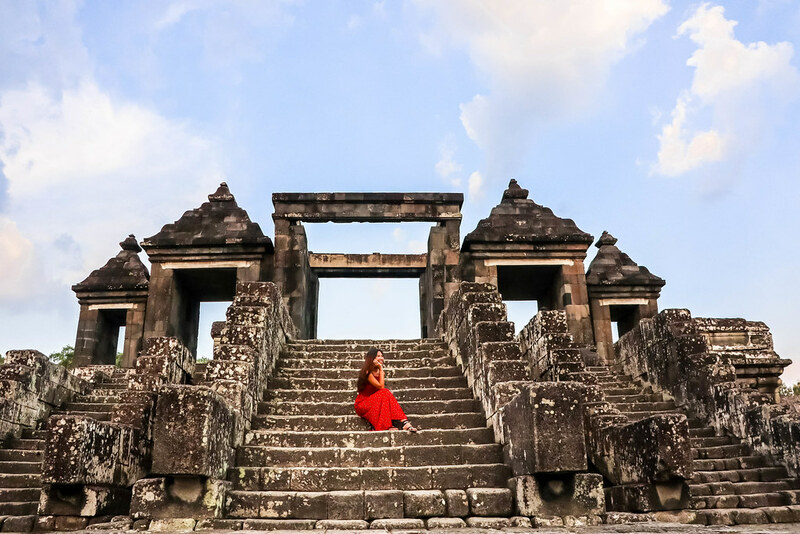 Many people have mistaken Ratu Boko as a temple, so here’s a clarification – Ratu Boko is not a temple, but remains of a palace. You can admire the ruins which retain evidence of fortified walls and a dry moat. This suggests it was used as a defensive structure, on top of being used as a royal residence. 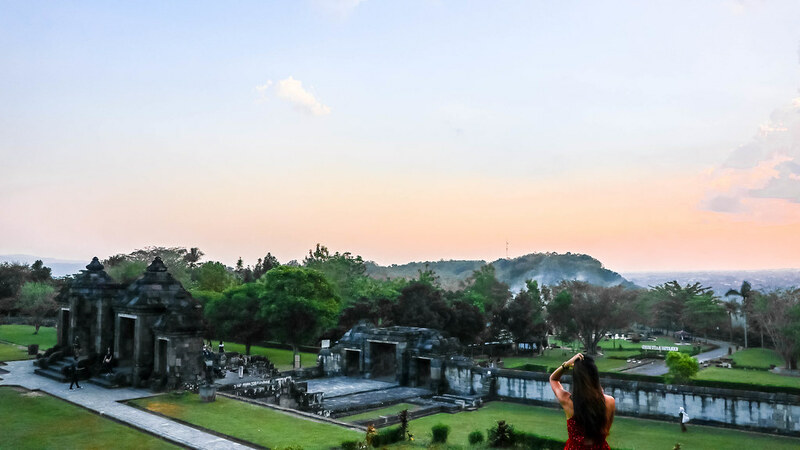 Ratu Boko is approximately 196 metres above sea level. On clear days, you will be able to see the Prambanan temple and Mount Merapi volcano in the distance. The entrance fee costs 350,000 IDR ($31.90 SGD) per person. 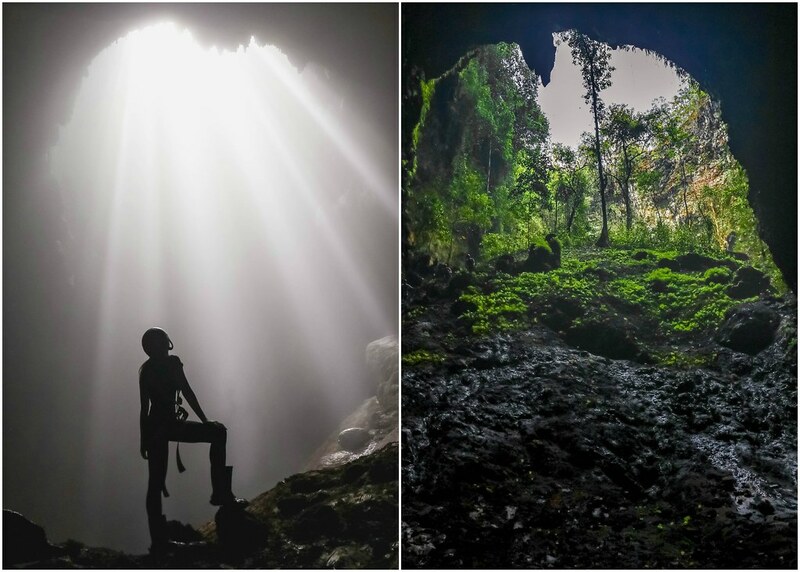 When you visit Yogyakarta, you should definitely rappel 60-metres down a cliff to the bottom of the Jomblang cave, and end your day tubing along a river into the Pindul cave. 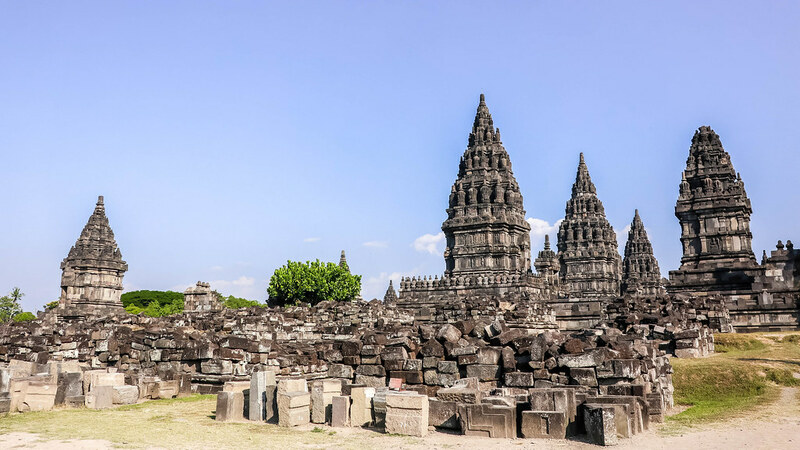 These two activities are perfect contrasts to the usual visit to cultural places and the temples of Borobudur and Prambanan. 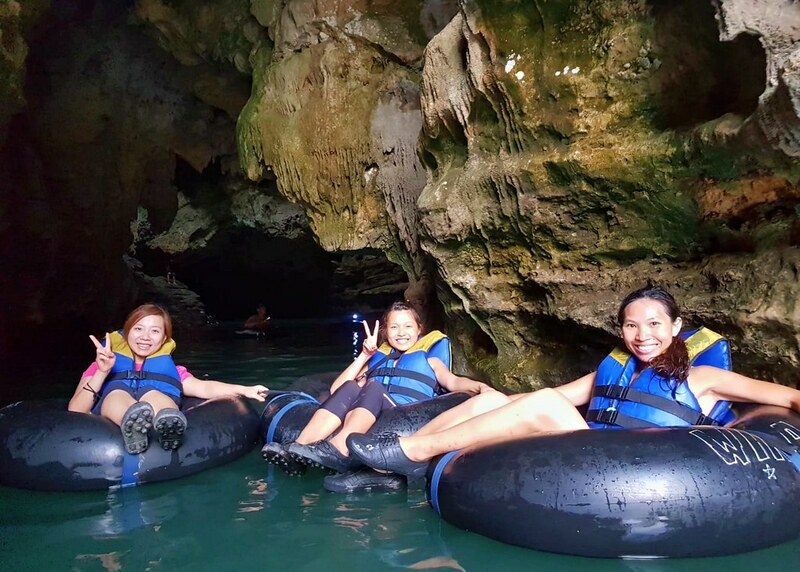 The total cost (including lunch and beverages) for exploring Jomblang cave is 500,000 IDR ($45.55 SGD) per person while the total cost for water tubing in both Pindul cave and along the river is 210,000 IDR ($19.05 SGD) per person. Check out my full review here. Years ago, Timang Beach was just an isolated spot at the end of a bumpy road. While there was the gondola used by fishermen to catch lobsters, there were no parking areas and nowhere to buy food or dine at. 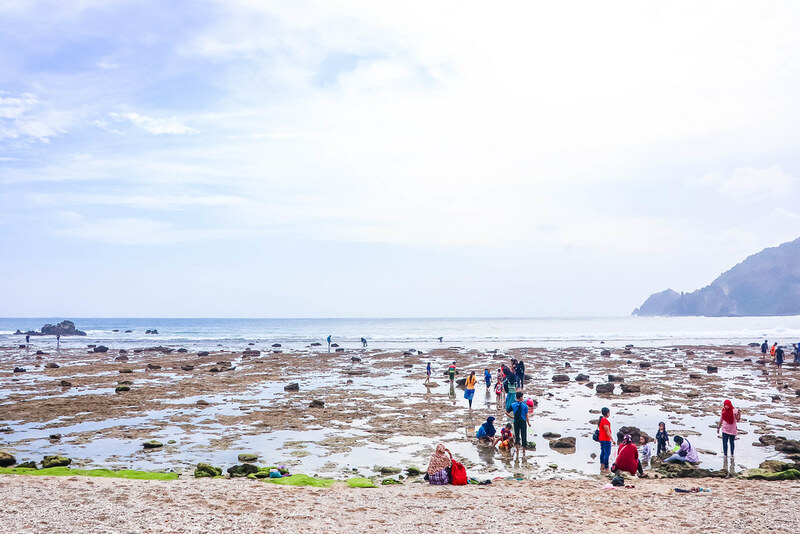 However, there was a flood of tourists ever since Timang Beach was featured on an episode of Running Man (Korean’s variety show) last year. Besides the gondola, there is also a suspension bridge that links the mainland with a rocky outcrop about 20-metres or so off the shore. The gondola is constructed from wood, blue ropes, wood washed up on the beach and metal pulleys. It was the most interesting and thrilling gondola ride I’ve experienced. 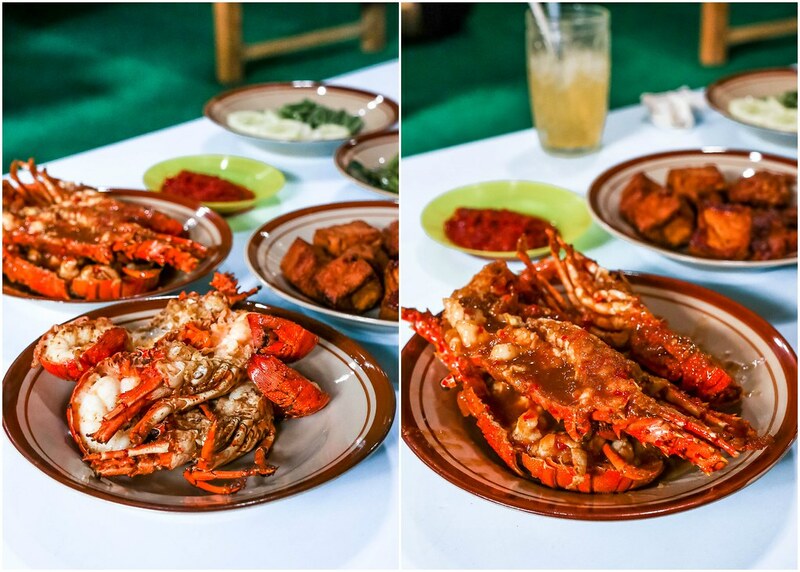 Before leaving the beach, enjoy fresh lobsters and other seafood dishes at the restaurant. 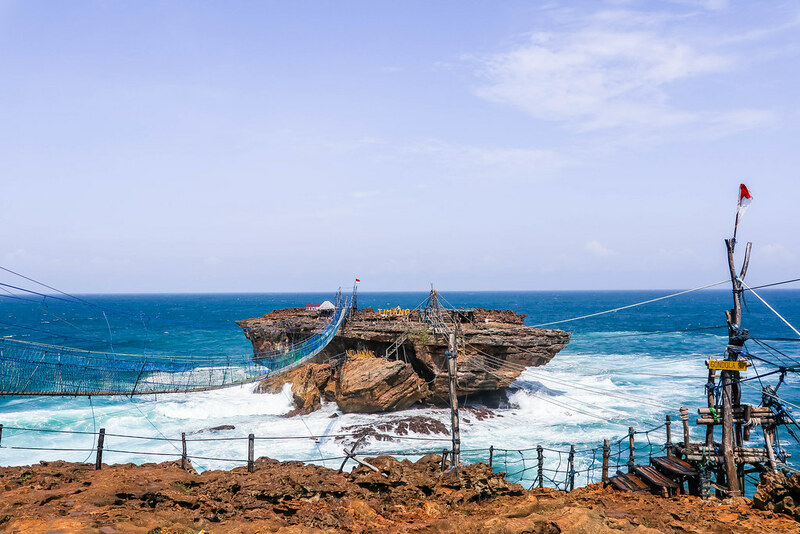 More information on visiting Timang Beach can be found here. 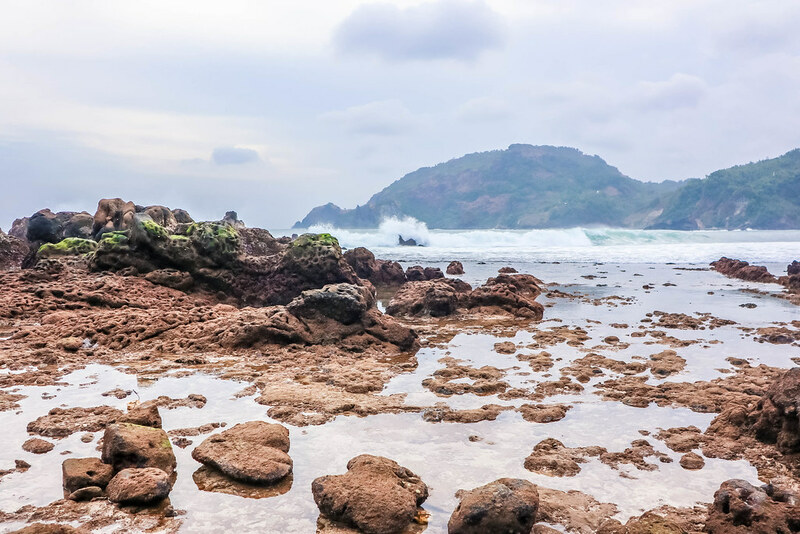 After spend half a day on thrilling activities at Timang Beach, we needed to relax, and our driver brought us to Wediombo Beach. There are small lagoons surrounded by coral rocks that you can soak peacefully in while enjoying the sunset. 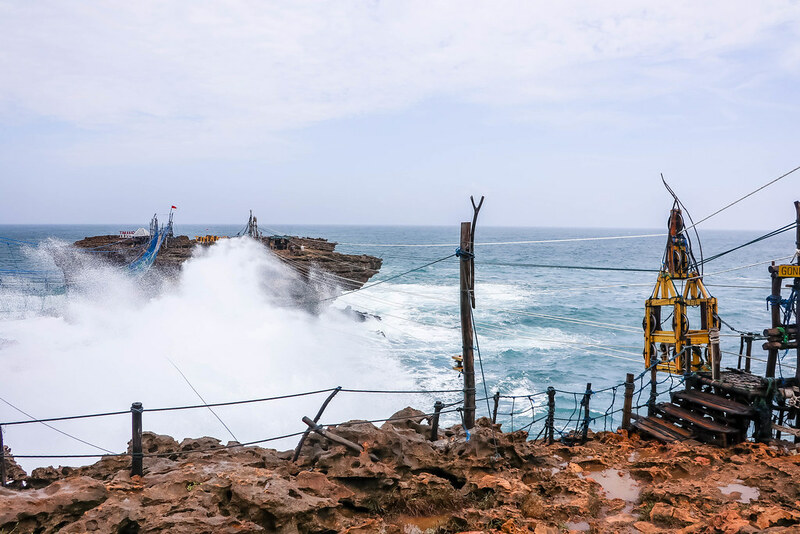 Do be careful and take note of the tide levels, because high tides have been seen to overflow into the lagoon, and the violent waves have currents strong enough to pull people towards the sea, possibly hitting coral rocks and causing injuries. The entrance fee costs 5,000 IDR ($0.45 SGD) per person. Borobudur temple is an 8th century Buddhist stupa and temple complex. It is the single largest Buddhist structure anywhere on earth and features nine levels (six square and three round) built from two million stone blocks. It has four stairways, one on each side, which lead up through carved gateways to the very top. We reached the top around 5.30am and explored the compounds of the temple while waiting for the sunrise. 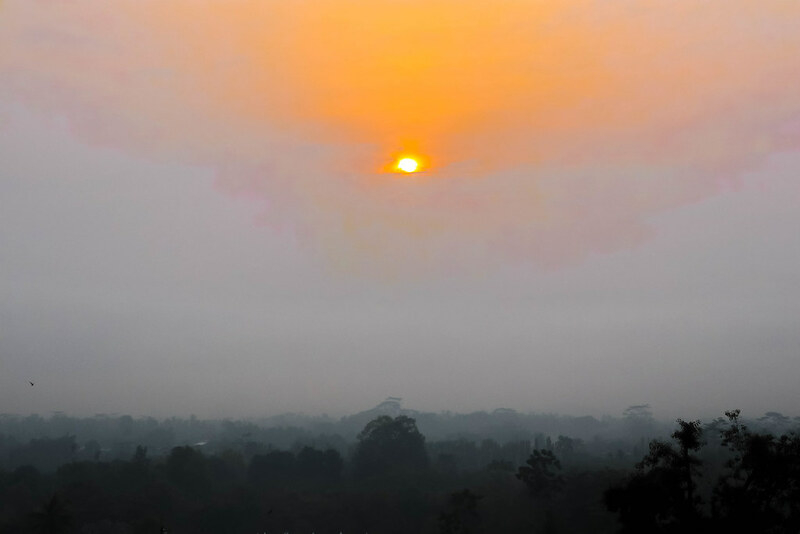 Borobudur temple is set in the gorgeous Kedu Plain with a backdrop of active volcanoes. It’s no wonder why hundreds of visitors want to watch the sunrise here. You have to get a ticket which costs 450,000 IDR ($40.85 SGD) per person from the entrance of Manohara Hotel. Click this link for more details. 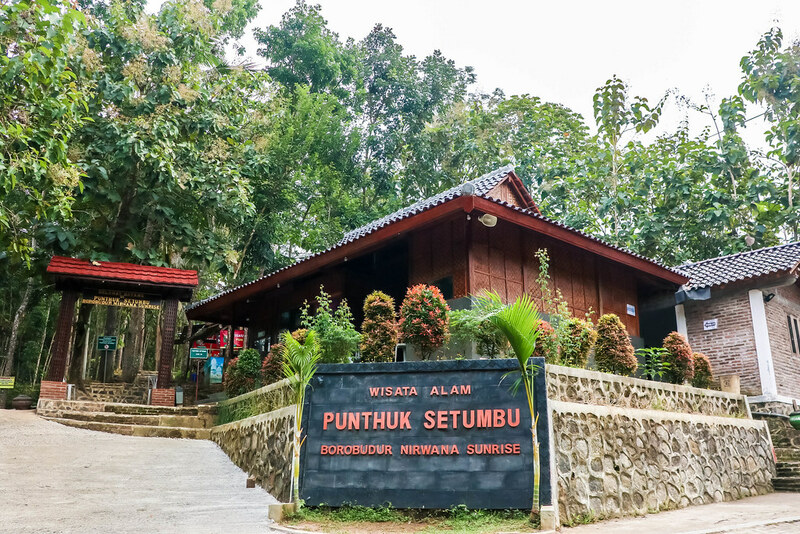 After the sunrise, we stopped by Punthuk Setumbu Hill for some photos. 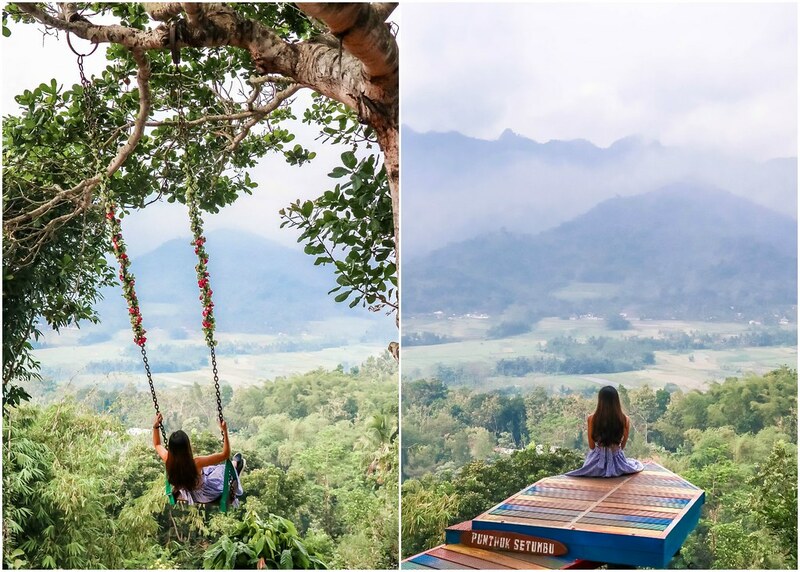 Swings have not only taken over Bali; you can also find them in Yogyakarta too. There’s a swing at the top of Punthuk Setumbu Hill with multiple photo spots. While some people ascend the hill to catch the sunrise with Borobudur Temple as the backdrop, others visit the hill just for photo-taking purposes. My girlfriends and I belong to the second group who went up the hill for photos. It’s not a hard hike, and you’ll reach the top within 10 to 15 minutes. The entrance fee costs 30,000 IDR ($2.75 SGD) per person. 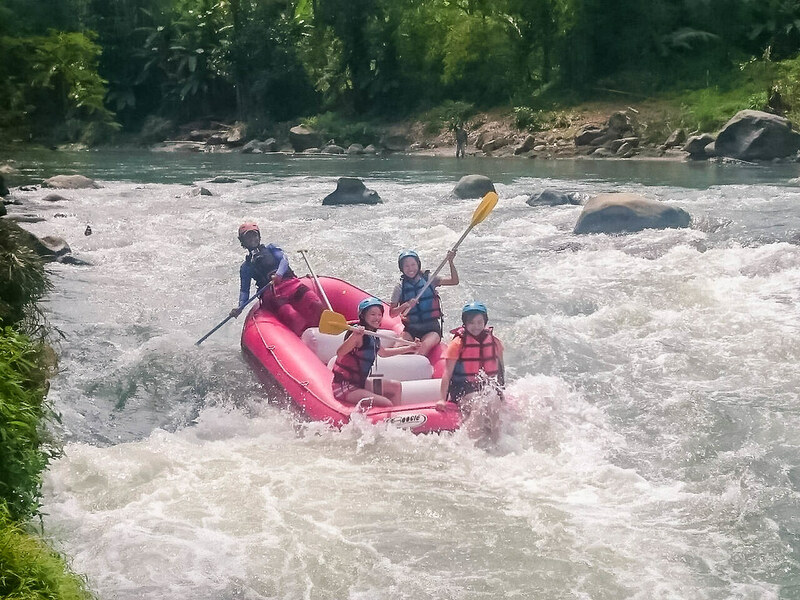 We wrapped up our Yogyakarta trip with rafting along the Elo River. Depending on the season, the water might flow gently or rush more rapidly. 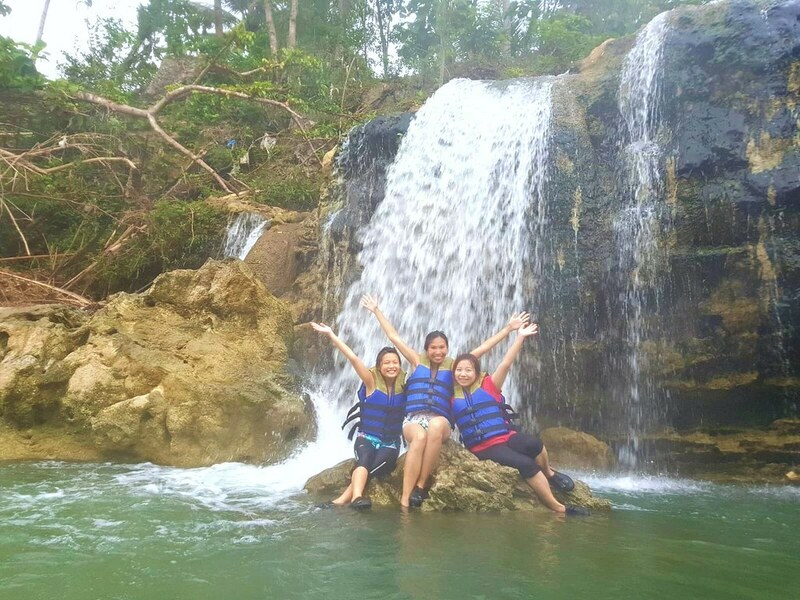 Our guide was super enthusiastic which made our experience fun and memorable. 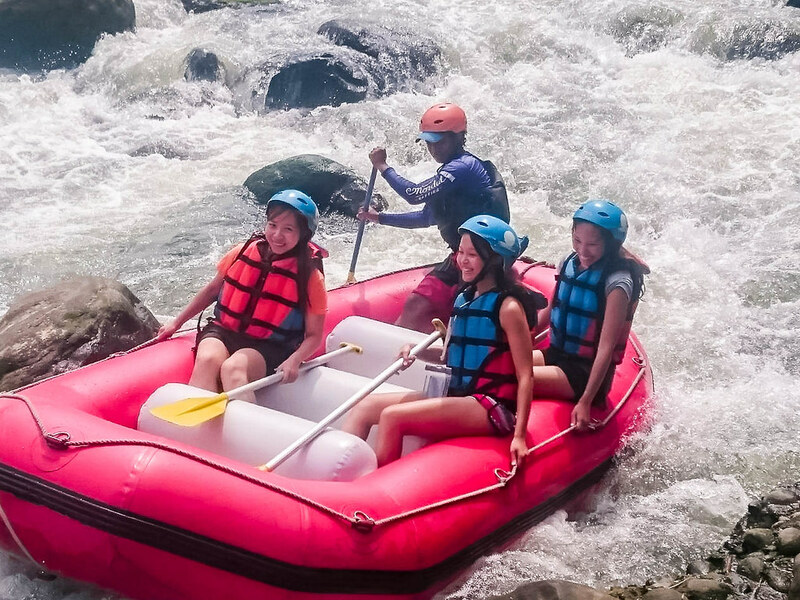 He challenged us to take turns to sit at the front of the raft and hold on as tightly as we could just so we wouldn’t fall into the river while the rest of us navigated ourselves through the rapids. This activity costs 300,000 IDR ($27.20 SGD) per person. Spending 4 to 5 days in Yogyakarta is definitely sufficient to explore the major attractions and do the activities. There isn’t much shopping nor food choices, so you do not have to budget too much for your trip.